South Indian filmmakers take immense pride in their disciplined approach to filmmaking and are known to wrap up films quickly within budget. But the first South Indian International Movie Awards Gen Next awards on Thursday in Dubai had a different story to tell. Slated to begin at 5.30pm, the fashion show and the award presentation to the rising talents from Telugu, Tamil, Malayalam and Kannada film industry saw a five-hour delay and reeked of shoddy planning. The biggies, including Kolaveri Di singer Dhanush with his wife Aishwarya, R. Madhavan, Shruti Haasan and Sameera Reddy, deigned to saunter in at 10.20pm, while the invited guests, mostly families with children in tow, waited by the door for more than four hours. “This is not worth the wait. We have been waiting for so long already,” said Priya Prem, who was accompanied by her husband and an infant. While the children made their displeasure known by wailing during the show, the adults were mostly eyeing the buffet table nearby. Simply put, the prelude to the SIIMA awards night to honour rising talent was more chaotic and confusing than your average lacklustre potboiler. The organisers were quick to place the blame on flights being rescheduled and visa hassles. “About 30 artists were supposed to arrive early evening for Gen Next, but they arrived late and by the time they checked into the hotel, it was way past 7.30pm,” said Anuj Rai, SIIMA organiser. The delay may have left the guests fuming, but the stars from four south Indian states took this opportunity to play catch-up. While R. Madhavan warmly embraced his colleague Abbas and actress Khushbu, heart-throb Rana Daggubati walked in with actress Trisha after 10pm. Singer Dhanush, after a daylong fruitful shopping expedition at Deira City Centre with his wife Aishwarya, ended the night on a good note. He took home the SIIMA Sensation of South India award. “I feel so overwhelmed. It’s a prestigious award and I am glad I could do this for my parents,” said Dhanush, clutching his golden trophy to his chest. Meanwhile, Shruti Haasan clad in a glittering burgundy Atsu Sekhose creation, was honoured with the SIIMA Pride of Southern India (Female) gong. Dum Maaro Dum star Rana Daggubati was bestowed the same title in the male category. “I am so proud to be here today. Thanks to SIIMA, I am part of this blessed, wonderful family. It’s great to have stars from four south Indian states under one roof,” Haasan said. Meanwhile, Madhavan, set the stage for his appearance as anchor for the grand award-presentation ceremony, held yesterday at the World Trade Centre. “There won’t be any rude jokes. My stand is that if you are here to honour talent, you should never disrespect them by making fun of them. That doesn’t work with me,” said Madhavan, who said he wished to make SIIMA in Dubai a regal affair. Bollywood actor Sonu Sood walked away with the SIIMA Most Stylish Villain Award. “I don’t belong to south India, but it feels great to be accepted so warmly in the south. I feel as if I have always been here — part of your films,” he said. 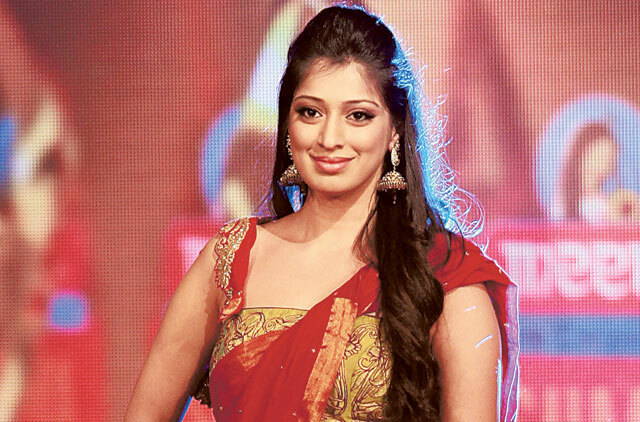 A fashion show led by star showstoppers, including Lakshmi Rai and Shreya Saran, were also rolled out along with stirring performances from rising singing star Vijay Yesudas.